There have been numerous improvement since the introduction of the S-100 over a decade ago. 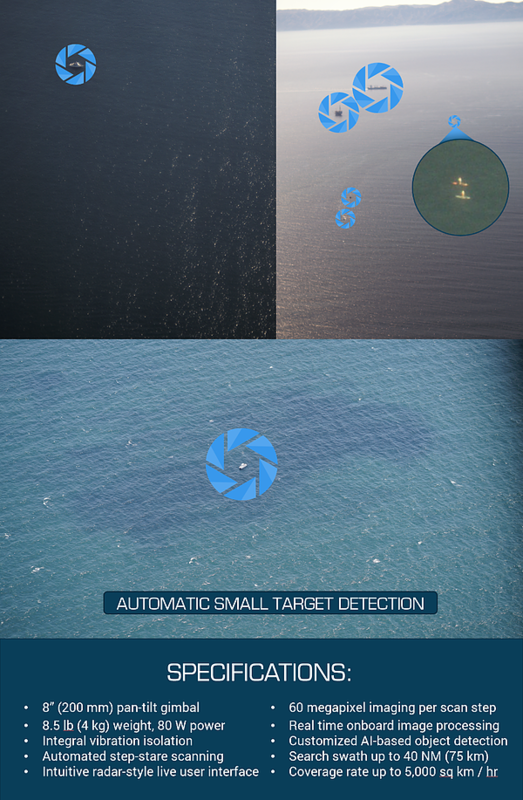 It has been integrated with more sensors including a synthetic aperture radar. A heavy fuel engine compatible with JP-5, Jet A-1 or JP-8 jet fuels is now optional, as a replacement for the original gasoline engine. Using an auxiliary fuel tank it now possible to extend its normal six hour endurance to up to 10 hours. This Oceanwatch PT-8 sounds a lot like a “ViDAR” (Visual Detection and Ranging) that has been tested by the Coast Guard. The S-100 is very widely used. Operators or those who are buying the system include the German Navy, the French Navy, the Italian Navy, the Australian Navy, and the Chinese Navy. The Russian Coast Guard uses a license built version. They have been testing sense and avoid capability. The S-100 at 440 pounds max take-off is about nine times greater than that of the 48.5 pound ScanEagle, but less than a seventh that of the MQ-8B Fire Scout (3,150 lb). It doesn’t have the endurance of the ScanEagle, but with a ten times larger payload (75 lb vice 7.5 lb), given better sensors, it may be able to search a larger area per sortie. With a higher speed (120 knots max vice 80) it can get to a probability area and search it faster. This entry was posted in aircraft, ISR, UAS, UAV by Chuck Hill. Bookmark the permalink.